Coyote and Rodeo (her father) live on the road in an old school bus. The school bus has been adapted to meet their needs with places to sleep, sit, and even cook. And for the most part, Coyote is content with this lifestyle that has been hers for the last five years. That changes though when she gets word from her Grandma that the park where she buried a memory capsule with her mother and sisters is being torn up. Coyote desperately wants to retrieve the capsule but she knows her father has no intention of ever returning to the town that reminds him so much of the accident that took the lives of his wife and daughters. So Coyote sets out to manipulate her father into taking her back. The problem is that she only has a week to get herself and her father from Florida to Washington. Along the way, Coyote and Rodeo pick up some passengers, Lester who wants to get to Boise, ID to see his former girlfriend (or does he? ), Salvador and his mother who are fleeing an abusive situation, and Val, whose parents have kicked her out. But everything is set in motion by the arrival of a tiny kitten. But can Coyote continue to lie to her father? Especially the closer they get to their former home? Gemeinhart has written a book that is all heart. Coyote won me over from the first page as she talks about her adoption of Ivan (the kitten). And the idea of living on the road in a school bus is certainly an intriguing one. The other people that Coyote and Rodeo reach out to along the way also helped make the story as strong as it is. Lester, a good guy who loves music and wants to be in a band, but who also cares for his ex-girlfriend and whom Coyote convinces to join them to help drive the bus. Salvador and his mother, who finally left the his father in search of a new job, and who Coyote invites to join them after they help her out of a jam. This is a tender story of a family trying to find their way and extending kindness to others along the way. 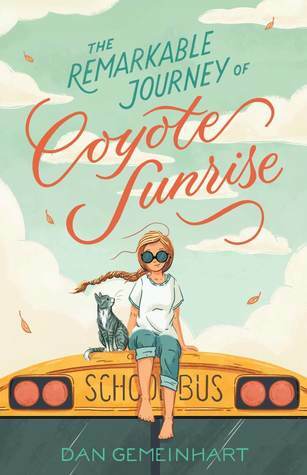 I could have done without all the swearing/profanity, but those readers who aren't bothered by that will find themselves unable to resist an endearing Coyote and her determination to achieve her goal. 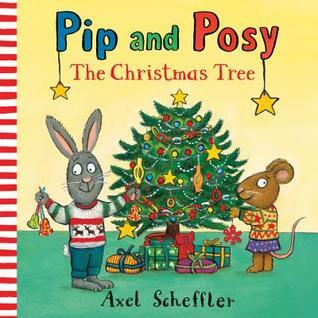 It's Christmastime, and Pip and Posy are busy decorating the tree with gingerbread and a beautiful sugar star. But the decorations keep mysteriously disappearing from the tree until there are none left at all. . . . Oh, dear! What will happen when Posy finds Pip lying on the sofa, feeling sick? Is it possible Pip might know what's happened to all of the ornaments? A charming and funny new Pip and Posy story about honesty, with gentle lessons about friendship. Pip and Posy decorate their Christmas Tree with yummy-looking sweets. When Posy leaves the room to run various errands, the edible decorations start to disappear. The illustrations make it clear where the ornaments have gone, and young listeners will be delighted to point it out. Eventually the tree is bare and Pip has a stomach ache. Pip confesses his mistake to Posy and they work together to come up with a solution. A cute story about friendship and Christmas that works well for toddlers, teaching a gentle lesson while showcasing the fun of Christmas. This fun first alphabet book introduces simple seasonal words to get toddlers excited about Christmas. Bright illustrations feature lots of happy faces and familiar festive details to spot and talk about, providing hours of shared first-word fun! 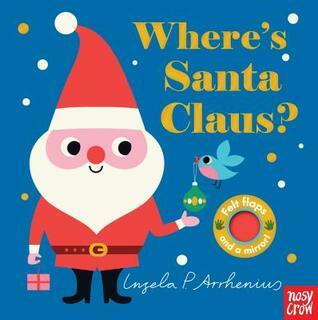 Angel, bell, candy canes, drummer boy, elf, and more Christmas-related words highlight this ABC book that is a great introduction to the holiday for babies and toddlers. Each word is accompanied by a simple picture representing the word making for a simple, but colorful and attractive design. 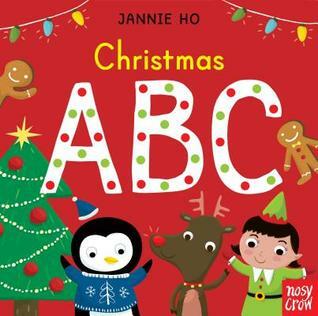 A cute book for those who want a themed-ABC book for their collections. Five beautifully illustrated spreads show a series of friendly Christmas-related creatures hiding behind bright felt flaps. With gold foil on the cover and a mirror on the final page, this is a perfect book to share with very little ones. 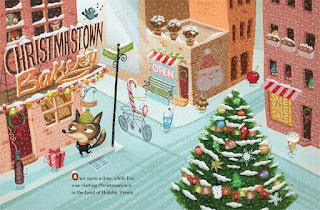 Each of the two-page spreads in this book asks the reader where to find a certain Christmas-related creature. Each item is hidden behind a piece of felt which requires the young listener to lift the flap out of the way to see the creature fully. Each picture offers the young listener a clue as to what is hidden. There is a polar bear, a snowman, an elf, Santa Claus, and finally a mirror to reflect back the image of the young listener. A fun book for young children who enjoy interactive books. When the ugly little fir tree is taken to the city, no one wants to buy him; they prefer the big tall trees. 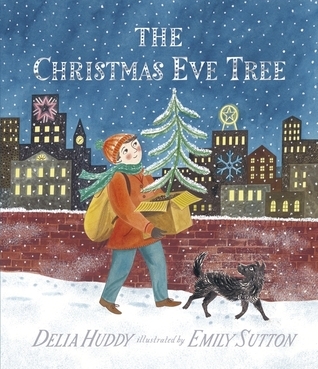 But a homeless boy asks the shopkeeper if he can take the tree, and down by the river in a cardboard box, decorated with a few candles, the tree finds itself at the centre of a magical Christmas Eve it will never forget. A Christmas tale with a classic feel but a modern theme at its heart. I wasn't sure I'd like this book when I first picked it up. It looks and feels like a classic, older story. But it's a tender story about a small little fir tree that nobody wants as a Christmas tree. But when a young homeless boy takes the tree and with the help of others, finds a way to create a magical Christmas Eve, without fancy decorations or presents. And the tree discovers that Christmas isn't about size or magnificence, but about heart. 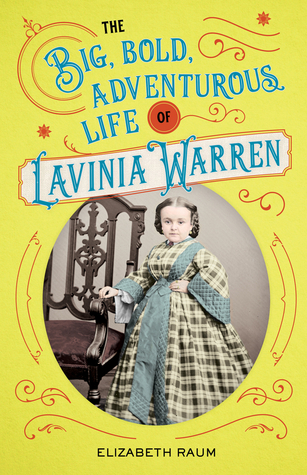 Lavinia Warren never let her height—or the lack of it—prevent her from leading a full and adventurous life. Although she never grew more than three feet tall, she became a beloved teacher, a world traveler, an entertainer and the friend of many powerful figures. Lavinia was teaching at a local school when she heard about an opportunity to travel doing shows as a “human curiosity” on a Mississippi River boat. Eventually she met P. T. Barnum and worked at his American Museum. It was there that she met Charles Stratton, a little person known to the world as “Tom Thumb.” Their wedding, which took place on February 10, 1863, brought joy to a nation at war. President and Mrs. Abraham Lincoln held a reception for the couple at the White House. The newlyweds later toured the United States and the world. Lavinia faced several tragedies but always found the strength to go on. Lavinia’s extraordinary story also provides a social history of one of the most devastating periods in American history. With additional material on Tom Thumb Weddings, readers' questions, time line, and notes and bibliography, this is sure to be a valuable title for adventurous middle-grade readers. Lavinia Warren spent years of her life traveling the world. When she was born in 1841, that is not what her parents envisioned for her. But when she stopped growing at a young age, and remained short her whole life because of dwarfism, things started to look different. Her size never stopped her from playing pranks, becoming a teacher, and learning to take care of herself. After spending a year on a riverboat starring in various shows, she returned home as the Civil War broke out. Meeting P.T. Barnum changed her life. He invited her to work at his American Museum where she met Charles Stratton, otherwise known at General Tom Thumb. After getting married, the two spent many years traveling around the world performing for packed audiences. I thoroughly enjoyed reading about Lavinia's adventures, the people she meet, the places she saw, and the friends she made. While her size did make her life more difficult in some ways, she didn't let it stop her from seeing and experiencing the world. 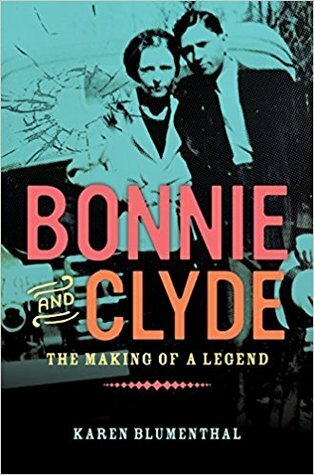 This is a great middle grade biography about an woman who left her mark on the world. "Aren't you a terrorist?" "There are no roles for people who look like you." "That's a sin." "No girls allowed." They've heard it all. Actress Alia Shawkat reflects on all the parts she was told she was too "ethnic" to play. Former NFL player Wade Davis recalls his bullying of gay classmates in an attempt to hide his own sexuality. Teen Gavin Grimm shares the story that led to the infamous "bathroom bill," and how he's fighting it. Holocaust survivor Fanny Starr tells of her harrowing time in Aushwitz, where she watched her family disappear, one by one. What made them rise up through the hate? What made them overcome the obstacles of their childhood to achieve extraordinary success? How did they break out of society's limited view of who they are and find their way to the beautiful and hard-won lives they live today? 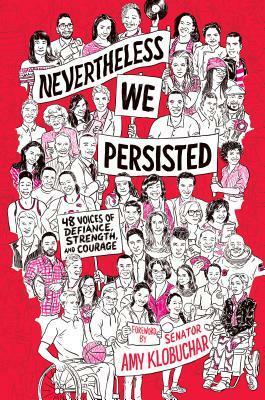 With a foreword by Minnesota senator and up-and-coming Democratic party leader Amy Klobuchar, these essays share deeply personal stories of resilience, faith, love, and, yes, persistence. Books like this one that have multiple authors often carry the risk of being uneven in quality, depending on the authors included. I was impressed by the high quality of all the selections in this book. That's rare for a book like this. I found each account compelling and thought-provoking. I also appreciated the variety of experiences that were included. Obstacles of many kinds are shared by those telling their stories in this book. Physical disability, childhood trauma, bullying, racism, lack of diversity in various professions, and other challenges are described in various accounts. What I found especially inspiring is the way each of these people found ways past the obstacles in their lives to find success. Now it certainly wasn't easy for any of them, and many of them still face opposition in a variety of ways, but they persisted in the face of serious challenges. Whether one agrees with their actions or politics or activism or not, one can't help but admire the determination and courage they exhibited along the way. A truly inspiring collection of stories that reminds the reader that life is hard but it doesn't have to be impossible. 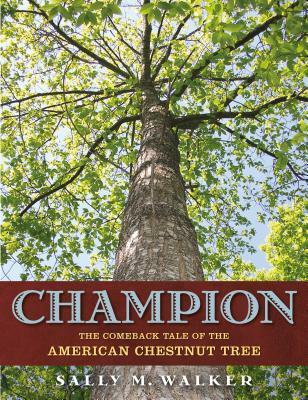 American chestnut trees were once found far and wide in North America's eastern forests. They towered up to one hundred feet tall, providing food and shelter for people and animals alike. For many, life without the chestnut seemed unimaginable—until disaster struck in the early 1900s. What began as a wound in the bark of a few trees soon turned to an unstoppable killing force. An unknown blight was wiping out the American chestnut, and scientists felt powerless to prevent it. But the story doesn't end there. Today, the American chestnut is making a comeback. Narrative nonfiction master Sally M. Walker tells a tale of loss, restoration, and the triumph of human ingenuity in this beautifully photographed middle-grade book. I had no idea that trees could be so fascinating. But Sally Walker's account of the near extinction of the American chestnut tree and the numerous efforts being made to save it was informative and intriguing. She starts by giving an introduction to the tree itself and what made the tree valuable to so many people and creatures. Then she discusses the blight that attacked the trees and started killing them off rapidly. The rest of the book is spent explaining the various methods different scientists have and are using to re-establish the tree in it's former habitats. Walker does a nice job of explaining some complicated science concepts in a reader-friendly way. And she makes it clear the tremendous amount of work that has been put into saving this species of tree. The appendices at the end cover various related material such as a study of rodent nut preferences and an elementary classroom's participation in growing American chestnut trees. A great book that shows the good that science can do when it's used properly. Edward Hemingway is the creator of Field Guide to the Grumpasaurus, Bad Apple: A Tale of Friendship, and Bump in the Night, as well as the illustrator of My Miserable Life by F.L. Block. He has written features in GQ magazine and comics for Nickelodeon Magazine, and his artwork has been published in The New York Times. The youngest grandson of Ernest Hemingway, he lives in Montana. To learn more, and for some fun downloadable activities, visit his website:edwardhemingway.com. 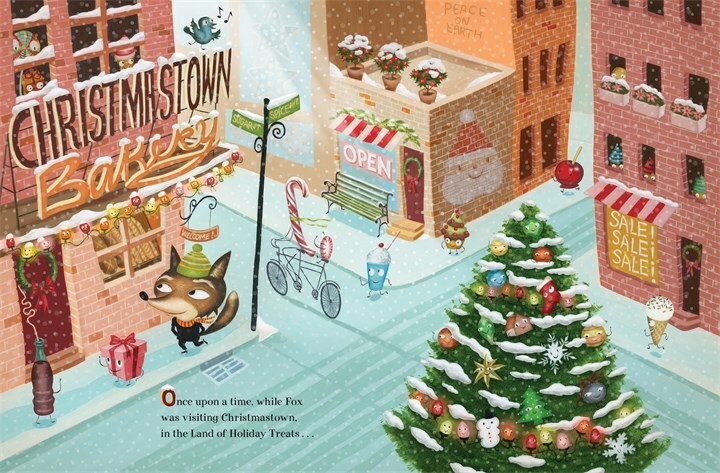 This delightful twist on the Gingerbread Man tale is as yummy as it's main character is not. When Sugar Cookie Man takes off down the street bragging about his speed and sweetness, Fox can't resist the challenge. After catching the cookie and tasting him, Fox spits him out. He tastes terrible and he isn't all that fast. Cookie is heart-broken. What is he good for then? Fox kindly decides to help him out by taking him to the spa to be sweetened up and when that doesn't work, entering him in a running contest. But Cookie doesn't seem to fit anywhere. The delicious tale about finding one's place in the world is delivered with just the right amount of sweetness, along with some seriously cute illustrations. 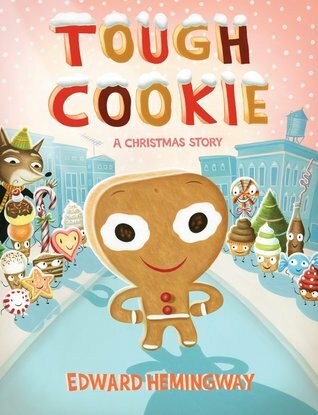 The answer to Cookie's dilemma is right there in the illustrations, but I still didn't catch it until the climax. A refreshingly new book that would make a great holiday read-a-loud. Leslie Odom. Jr, burst on the scene in 2015, originating the role of Aaron Burr in the Broadway musical phenomenon Hamilton. Since then, he has performed for sold-out audiences, sung for the Obamas at the White House, and won a Tony Award for Best Leading Actor in a Musical. But before he landed the role of a lifetime in one of the biggest musicals of all time, Odom put in years of hard work as a singer and an actor. Books that intend to be inspirational don't always click with me. Sometimes I just don't relate to the author, or the advice is bad or unrealistic, and sometimes the content is simply to sugary sweet or positive to be really helpful. 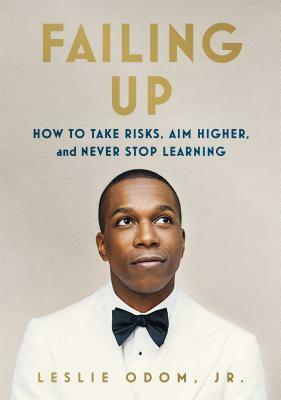 But I thoroughly enjoyed this one by Leslie Odom, Jr. Not only is it very well written, making it easy to read, but the stories are relatable and relevant to the principles and concepts he talks about. I especially enjoyed the peek into his experiences getting into show business and the ups and downs that followed. The concepts shared are applicable to anyone young or old and I found them truly inspiring. 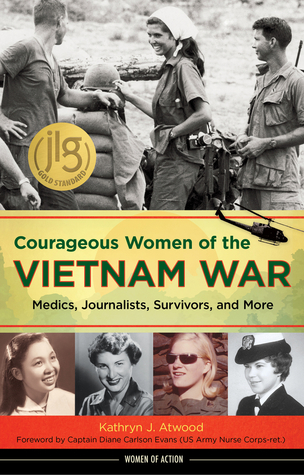 In these pages readers meet these and other brave women and girls who served in life-threatening roles as medics, journalists, resisters, and revolutionaries in the conflict in Vietnam. Author Kathryn J. Atwood presents a clear introduction to each of five chronological sections, guiding readers through the social and political turmoil that spanned two decades and the tenure of five US presidents. Each woman's story unfolds in a suspenseful, engaging way, incorporating plentiful original source materials, quotes, and photographs. Resources for further study, source notes and a bibliography, and a helpful map and glossary round out this exploration of one of modern history's most divisive wars, making it an invaluable addition to any student's or history buff's bookshelf. The collection of stories included in this book includes a nice variety of experiences. It's clear the author worked hard to gather information on the lives of many women who experienced Vietnam in some way. The stories included range from civilians and victims to nurses, reporters, volunteers, a North Vietnamese surgeon, and even a war protester. This provided me with a variety of different perspectives on the war and the experiences these women had. Many of the stories are heartbreaking in the suffering and destruction these women witnessed or were a part of, directly or indirectly. No one could read these stories and remain untouched by the horribleness of war. The ladies themselves had/have different views on the rightness and wrongness of the war and while the author includes these views, she doesn't try to say who is right or wrong. She simply tells the stories. As I looked at the notes and references and suggested resources, I was pleased to see so many primary sources listed. Many of the women who are included in the book have told their own stories elsewhere, making this book a jumping off point for those who want to learn more. This book is a valuable resource for those who want to look at the historical experiences of an often overlooked group of war veterans/survivors.